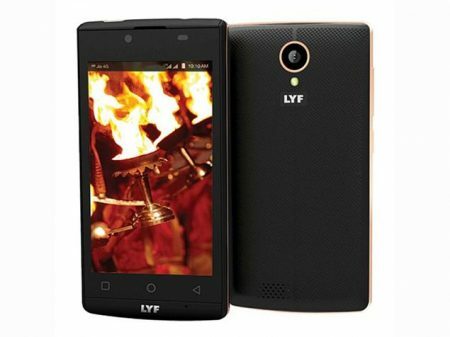 Lyf comes with a new budget called Flame 7 to the market. It costs around Rs.3,249 in India and $47 in USA. 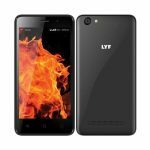 Currently, Lyf Flame 7 is available in online shopping sites like Amazon, Flipkart, Snapdeal etc.. Look at it’s complete advantages, disadvantages, price & specifications. WVGA Touchscreen Display, 16M Colors. 5 MP rear camera, 2 MP secondary camera. 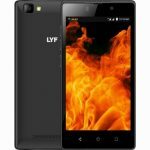 Lyf Flame 7 runs on Android OS, v5.1 (Lollipop). It flaunts 4.0-inch WVGA Touchscreen Display with Multitouch in it. Constructed with 1.5 GHz quad-core processor. Brings storage of 8 GB with memory expansion up to 32 GB via microSD dedicated slot. Comes with 5 MP rear camera and 2 MP front facing camera and with flash feature. Incorporates with a good battery capacity of 1750 mAh which is user replaceable. This handset comes with features are not up to mark. It is good mobile for people who are looking for a smart phone with low budget. If your budget is around Rs.3,500/- just go for it.